I’m in Scotland for work and as I was riding to my hotel from the airport, there was a smattering of signs reading TO LET. In some cases there were 2 signs in two windows with the window frame acting as a separator like this TO|LET. This isn’t particularly special. In the US it’s the equivalent of FOR RENT or SPACE AVAILABLE…except that my American brain kept translating it to TOILET. To the point that I idly wondered why the Scots need so many toilets. I knew that the signs read TO LET, but in the US, that group of letters is more likely to lead to a toilet than to an apartment for rent. My brain kept filling in the missing letter I with each sign we passed. There’s no real lesson here except to be careful when filling in the blanks automatically. Because if you really need a toilet, that missing letter is important. I don’t understand this sign. At what point does green tea infused water just become tea? Isn’t this just really, really, really weak tea? 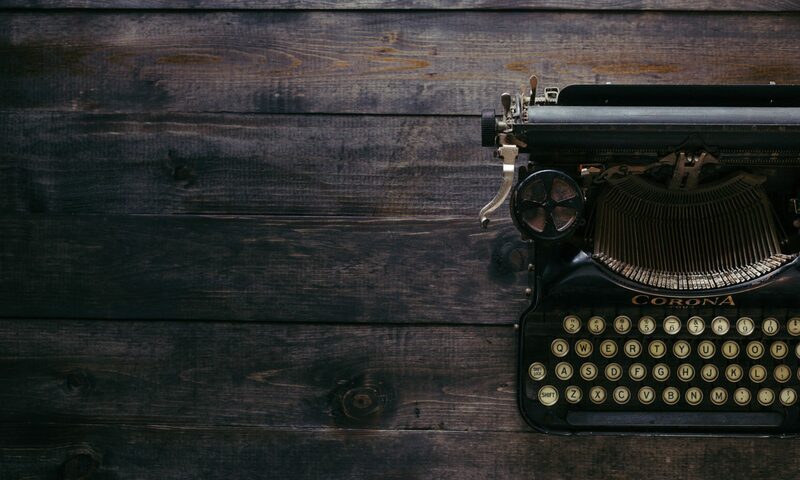 In case you wondering how I ended up with a Dynamics GP and a Dynamics 365 book at the same time, I’ve got a little piece up on MSDW with the back story. You didn’t think that last announcement was it did you? I am thrilled to announce the launch of the Security and Audit Field Manual for Microsoft Dynamics 365 for Finance and Operations Enterprise Edition. It’s available now in print and Kindle formats on Amazon. My co-author Alex Meyer has delved deeper into D365fFOEE security than anyone I know, and Andy Snook has forgotten more about controls than I knew in the first place. It was a thrill to be able to write with them. The problem with security books is that they fall into one of two camps. Security books written by auditors explain good security principles, but don’t offer enough detail for use in a specific application. Books written for applications are often filled with details on boxes to check, but thin on important concepts like mitigating controls. 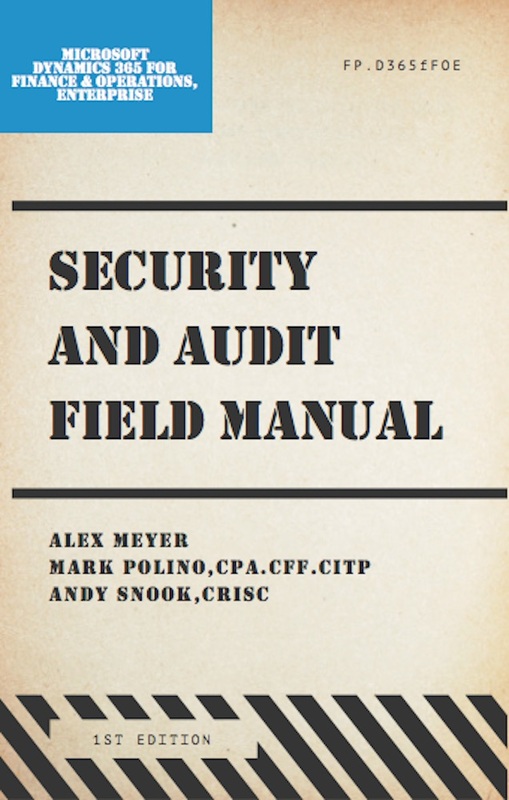 With the Security and Audit Field Manual, we’ve tried to tackle both. Each chapter addresses a set of security principles and details how those principles can be applied using features in Dynamics 365. What makes these books work is that good principles are good principles regardless of the software involved. The key, the expertise, is in applying those principles to a specific piece of software, without losing the principle in the process. Well known AX and D365 author, former MVP, and now Microsoftie Murray Fife was kind enough to write the forward. His latest book is A Beginner’s Guide to Dynamics 365 for Finance and Operations Enterprise Edition. Former MVP and also now Microsoftie Joris de Gruyter was kind enough to provide feedback. The Security and Audit Field Manual for Microsoft Dynamics 365 for Finance and Operations Enterprise Edition is available from Amazon in paperback and Kindle formats. We will have a limited number of copies at Summit, and we’re happy to sign them for folks, so stop by the Fastpath booth and say Hi!